A designer villa set over three levels with spectacular sea and sunset views, the six-bedroom Villa Moon Shadow Kamala is an awe-inspiring holiday retreat. Found near Kamala Beach in an exclusive private estate, the villa blends intriguing modern design with its gorgeous tropical hillside setting to stunning effect. The 15-metre pool forms the heart of the villa, while expansive indoor and outdoor living spaces offer the perfect party pad, or simply a haven for some blissful relaxation with family and friends. A cinema games room, guest kitchen and gym room offer added flourishes of luxury, while the dedicated team of staff, provide five-star service. 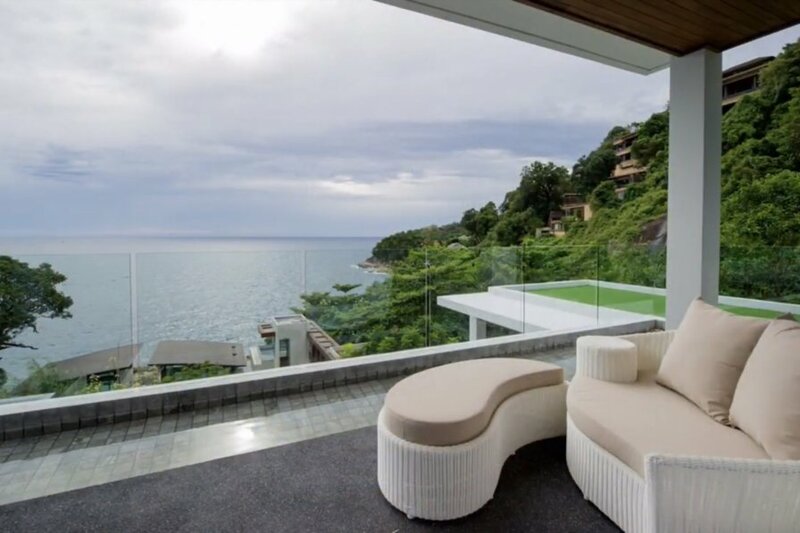 Found in the exclusive Cape Amarin estate, Villa Moon Shadow Kamala is one of the most spectacular villas on the “Millionaires' Mile” headland between Kamala and Patong beaches with superb sea and sunset views. A 10-minute drive north leads to Kamala Beach, a stretch of soft golden sand popular with families, with a growing beach club scene since the arrival of the chic HQ and cafe Del Mar hot spots at its northern end. Aside from casual beach side dining at one of the restaurants that line the sand, Kamala is the perfect spot for some surfing, body boarding, or simply relaxing on the sand. About seven kilometres to the south is Patong Beach, Phuket's busiest resort town with plenty of water sports, shopping, dining and nightlife choices.